Sheilacakes: Name Your Tune Review and Giveaway! Name Your Tune Review and Giveaway! Noah loves music. He has loved it from the time I was pregnant with him. I would listen to certain songs and I swear he was dancing. Well, at least he was kicking during it. It was really cool. He always listens to music and he loves to dance along. He also loves his name. He can spell it for you and everything. So when I had the opportunity to review Name your Tune CD I was really interested in his reaction. My son is adorable when he dances. 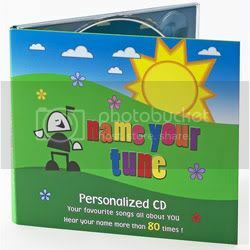 Name Your Tune is a Canada based company that makes personalized CD’s. Name Your Tune was created and founded by Candace Alper. That doesn’t mean your child’s name is just written on the CD. It is so much MORE. The songs have your child’s name in it. Over 80 times you child’s name is said. There are 14 well known songs on the CD. I think it is really cool that it doesn’t sound like they just inserted the name. They will do any name your child has no matter how unique. They will ask how their named is pronounced as well. Your child's name will be sung just as you say it. It is really cute. You can also get a personalized message written on the CD too. Noah and I really enjoy listening to his Name Your Tune CD. The music is upbeat and the singers’ voices are really pleasant to listen to. Towards the end of the CD the music winds down into a few lullaby type songs. It helps wind down Noah after dancing around and singing along. The one thing that I didn’t like was that they messed up the personalized message on the CD. Normally it wouldn’t have been a huge deal to anyone else but it irked me. A little Sharpie did the trick. I am sure it was just a mistake. The actual CD was great and we will continue to enjoy listening to the cd for many years to come.Our favorite song was Little Noah has a farm. This CD would be a great present for Christmas or a birthday. A BIG Thank you to Name your Tune for sending me a complimentary CD for my review and providing one for a giveaway too! I have one Name Your Tune CD to give to a lucky reader. Mandatory Entry: Check out the Name Your Tune website and tell me something else you would love to own. Add @Sheilacakes7 and Add @nameyourtunecds and tweet about this giveaway and include the link to this post this can be done daily. This Giveaway is open to US and Canada Residents only! 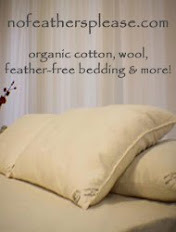 Please remember to put your email address in your comments or make it accessible on your blog. I like the dinosaur personalized lunchbox. I like the flowers personalized print. That would look cute in my girls' room. As a side note, I think it is great that they ask for pronunciation for the cds. My middle daughter's name is Arianna and no one ever pronounces it right at first. She is very quick to correct people about it too! I follow you on google friend connect as Jen V.
I follow you and nameyourtunecds on twitter as tweeted about this giveaway. The personalized wall art is way cute. I love the alphabet ones. I like the personalized lunch box! I love the Celery 20" Dino Big Belly Bank. The personalized blanket looks very nice!